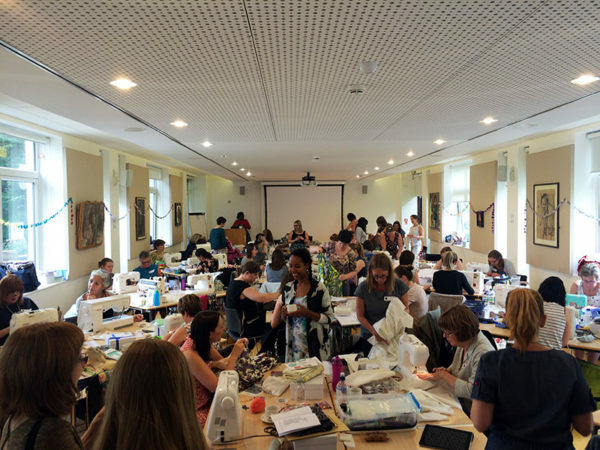 It's taken the better part of a week for me to calm down and recover after the stimulation overload that was the first-ever Sewing Weekender, held this past weekend up in Cambridge. It was organised by the ladies behind The Fold Line along with English Girl at Home after being really jealous of all the great sewing getaways and camps run over in America, and it seems they were right to want to replicate over here. Tickets went on sale (for a very reasonable £45) and sold out in literally under an hour. I credit my being able to buy a ticket mostly down to following these ladies on social media and jumping as soon as they became available (Pro-tip if you want to attend the next one when it's announced!). The event itself was held in one of the Cambridge colleges, with the option to stay overnight in one of the residence halls (dorm rooms), which I took advantage of after seeing it was cheaper than other hotels in town and less hassle than another set of late night and early morning trains between Cambridge and London! 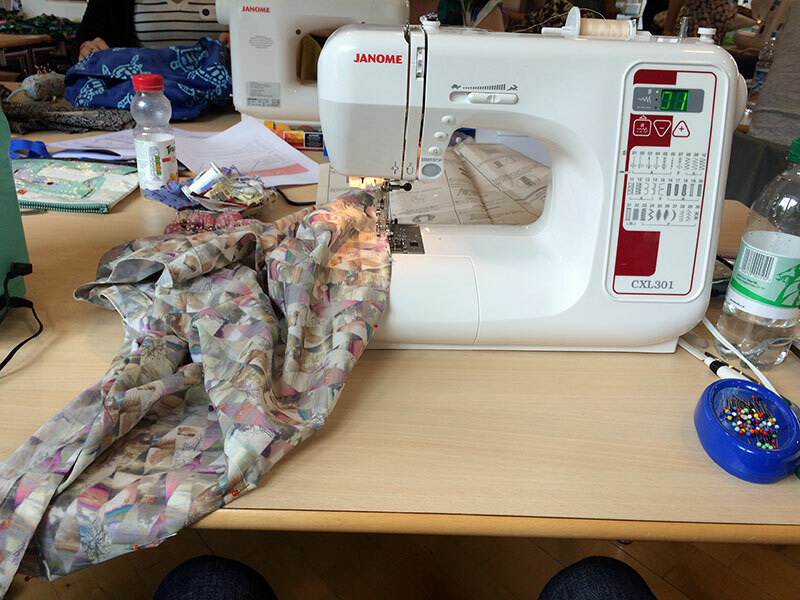 It’s taken the better part of a week for me to calm down and recover after the stimulation overload that was the first-ever Sewing Weekender, held this past weekend up in Cambridge. It was organised by the ladies behind The Fold Line along with English Girl at Home after being really jealous of all the great sewing getaways and camps run over in America, and it seems they were right to want to replicate over here. Tickets went on sale (for a very reasonable £45) and sold out in literally under an hour. I credit my being able to buy a ticket mostly down to following these ladies on social media and jumping as soon as they became available (Pro-tip if you want to attend the next one when it’s announced!). The event itself was held in one of the Cambridge colleges, with the option to stay overnight in one of the residence halls (dorm rooms), which I took advantage of after seeing it was cheaper than other hotels in town and less hassle than another set of late night and early morning trains between Cambridge and London! 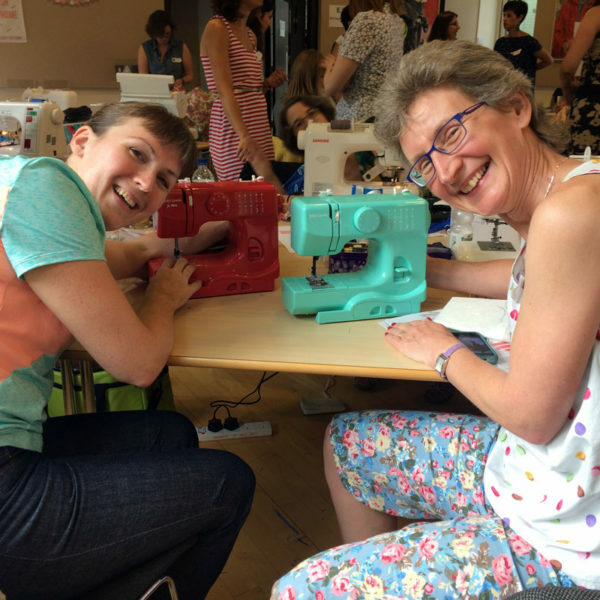 The first day was just an open sewing session – Janome kindly provided 25 top-of-the-line, brand new sewing machines and 2 overlockers (sergers) so we all buddied up and shared machine, unless your buddy happened to bring their own travel machine, like Elizabeth and I did! Elizabeth & I with our sister JL Mini machines! I actually ended up using the big Janome for most of my sewing, though, as I wanted to try out a computerised machine, having sewn on my own mechanical vintage machine for the vast majority of my sewing career. It’s a great machine, but I found the bells & whistles difficult to get used to in one short session. I reckon it’s like a computer – OSX out of the box would drive me crazy, but once I dig into all the settings and get it tweaked to my liking I can’t use anything else! 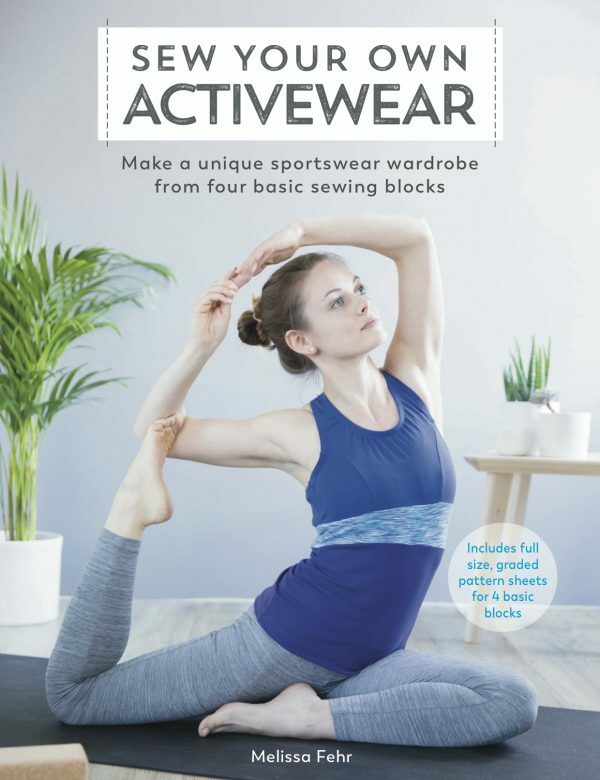 Everyone brought along their own project to work on, and since I’ve been doing so much work sewing with lycra for the next round of patterns (oh yes! ), I thought I’d sew something different and make up Vogue 1440, a Donna Karan separates pattern with a lovely and unique shirt I’ve been wanting to make since it was released (unfortunately all Donna Karan and DKNY are now OOP due to a licensing change). I paired this with a “very un-Liberty” Liberty lawn I bought three years ago, and it was definitely a recipe for sewing room envy! I also was organised enough to sew all the fiddly bits in advance, so I made up the darts, concealed button placket, facings, collars, etc, so I just needed to assemble it on the day. This turned out to be the perfect approach, as I was able to finish it and wear it out to the pub that night! This is an unusual style and print for me but I absolutely love it, so you’ll be seeing and hearing much more about it in a separate post and photoshoot! 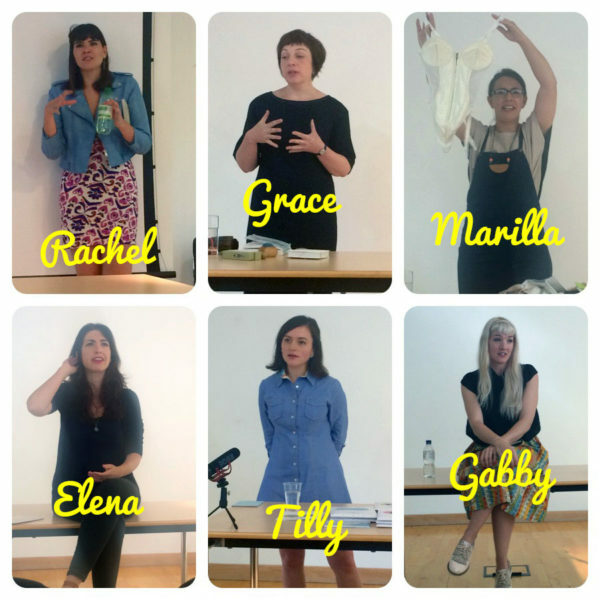 Day two of the Weekender was all about inspiring talks from a variety of makers: Rachel from House of Pinheiro, Grace from Beyond Measure, Marilla Walker, Elena from Randomly Happy, Tilly from Tilly & the Buttons, and Gabby from the Gabberdashery. I really liked that all of the talks were very empowering and interesting for a variety of skill levels, and I found all the speakers to be really engaging and open to questions afterwards, too. Everything wrapped up about 16:30 on Sunday, which was my only complaint about the whole weekend – I only wished it could’ve gone on a bit longer on the second day, maybe with some hands-on workshops or a masterclass or sew along or something (luckily I have a good friend who lives in Cambridge I was meeting up with anyway!). Oh, and did I mention the goodie bags? The goodie bags were crazy good. 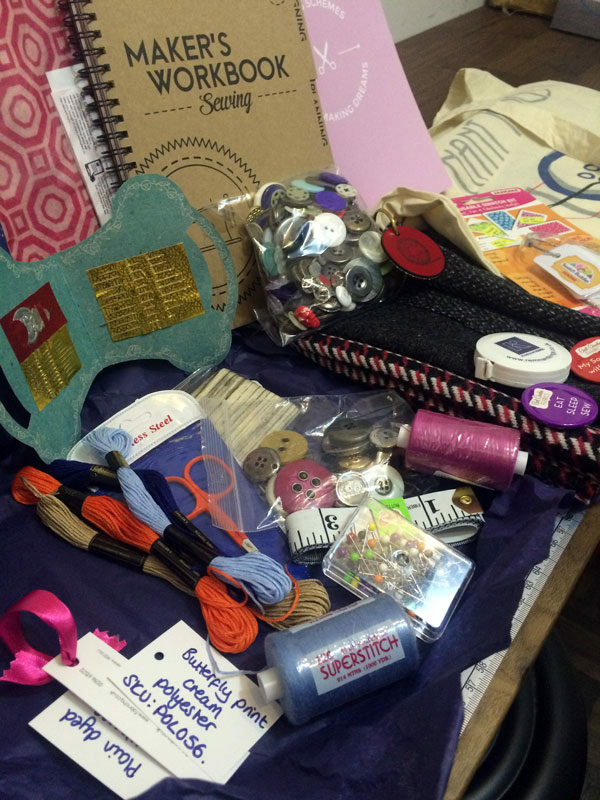 The organisers did a fantastic job in getting their sponsors to shower us with freebies, and there was a great variety of haberdashery, tools, fabrics, and loads of discount codes! In terms of fabrics, everyone got different cuts, but mine were: a fat quarter of beige polka dot quilting cotton (which will come in handy for trouser pockets & facings) from Fabric HQ, 0.5m butterfly poly crepe and 0.5m mustard viscose from Adam Ross Fabrics (conveniently, Elizabeth & I preferred each others’ so we swapped!). Also in the goodie bags were one-off special test tweeds from a mill in Lancashire that does incredible, bespoke woolens for the big design houses (as well as posh London tailors) which would otherwise just be binned, but Beyond Measure thought to rescue and provide to sewists. My three samples are just beautiful and SO soft, and plenty enough to get creative with for a clutch or imaginative jacket piecing. I’m also totally topped up for buttons, pins, measuring tape, and overlocker threads for the foreseeable future, so cheers, guys! But seriously, the best part of the entire weekend was meeting so many wonderful women, all so supportive and enthusiastic. 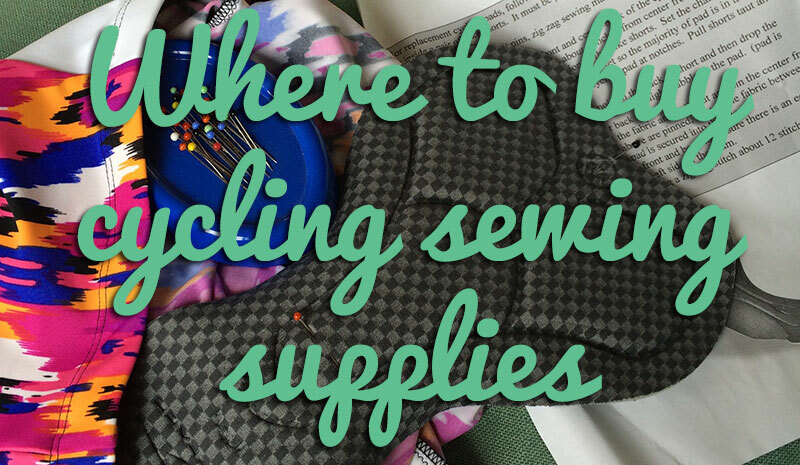 It’s not often we get to completely geek out over seam lines and stitches with over people, and I was especially touched that so many attendees took the time to tell me how much they’ve enjoyed making my patterns and reading my blog over the years. It really does make me feel good to know people appreciate the time and effort that goes into everything, and it’s great to be able to get to know people who’ve been just an email address for so long! The organisers have all said that there will be more of these Weekenders in future, either as an annual or twice-yearly event, so definitely keep your eyes peeled for info on the next one! Separator image Posted in Article, Inspiration and tagged with event, machine, reflections, social, vogue. 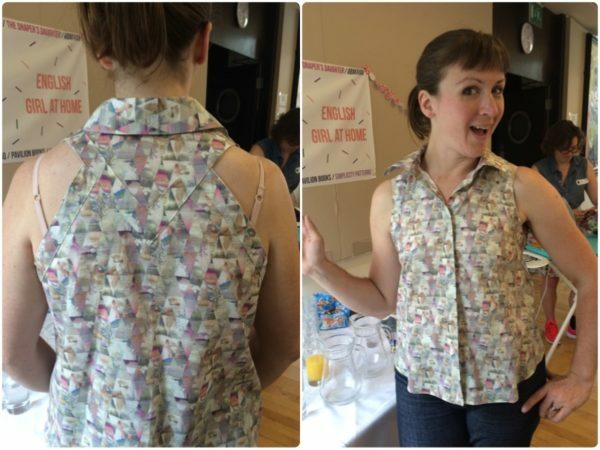 Great write up Melissa, it was lovely to meet you and I loved your DK shirt too! 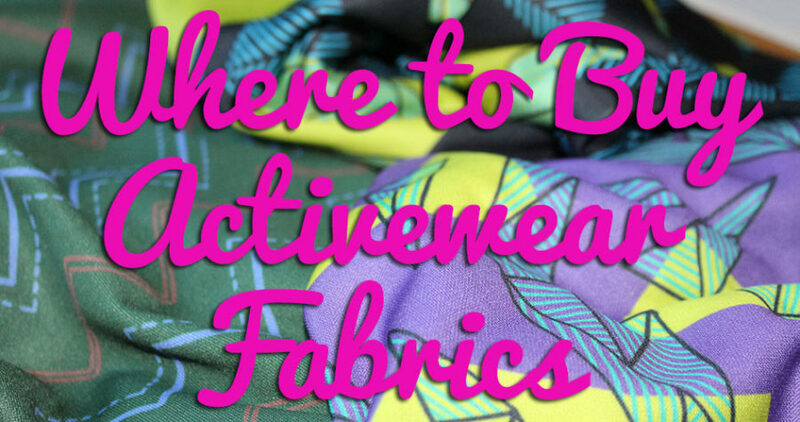 Was lovely to meet you and be your table buddy – will definitely be trying one of your patterns! Here here. It was a fab weekend. I enjoyed sharing your space and introducing our mini machines to each other. I too have sorted my goodie bag out and bagged up similar buttons! Great minds think alike. Thank you for swopping fabrics. I’m very pleased with my blues and purples. 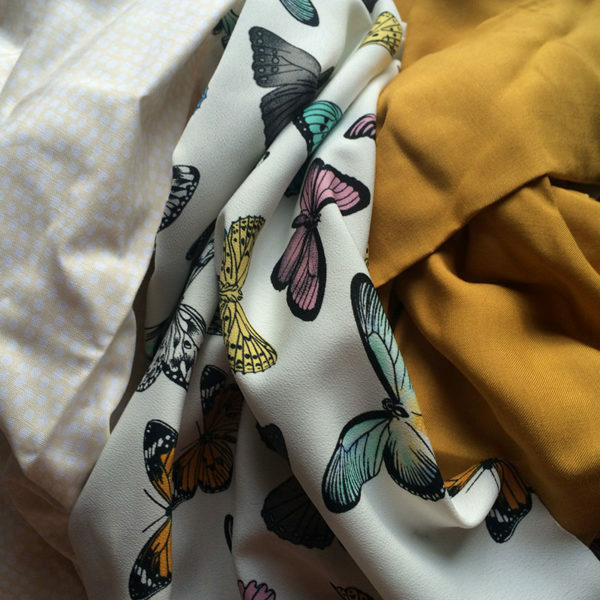 Adam Ross fabrics is based in Bham! They gave us a great goodie bag. Roll on the next one. I can’t be the only curious to know how many of those V1440 patterns got sold. I snapped one up as soon as I could… Yours looks great. Sewing retreats are some of the happiest days in my year and I treasure the fun and friendships so much. So much fun to see people gather to share their passion. My non-sewing friends look at me with curiosity or bewilderment but you have captured exactly what makes getting together in person so enjoyable.